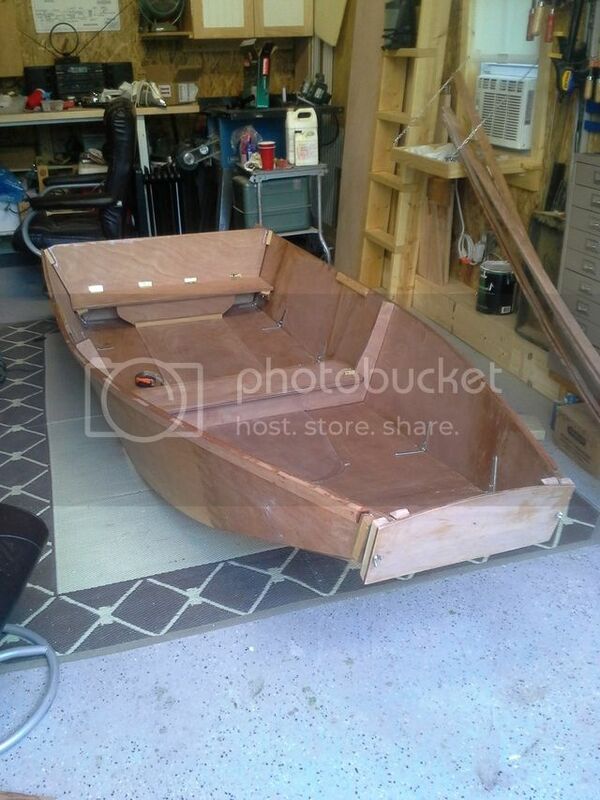 I have finished the epoxy stage, most of the sanding and completed the 2nd dry fit. 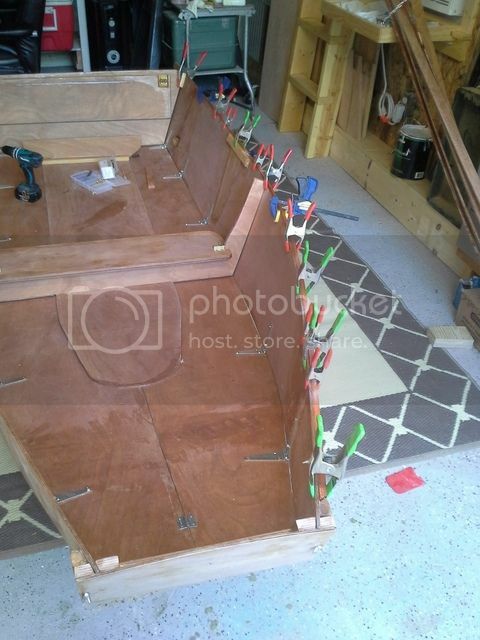 The shears had to be cut and attached before the attachments at the transom and the front seat could be installed. Everything is going fairly well. I had some aesthetic issues I wanted to clean up. My jigsaw skills are not great and some of the large panels needed a little filler work on the edges to smooth out the lines. After that there were temporary screws required for the mock up that needed removed and filled. Sanding and paint prep will be completed after the filled spots are smoothed out. I have started applying primer on some of the small pieces that were ready. Will have some pics of that soon. 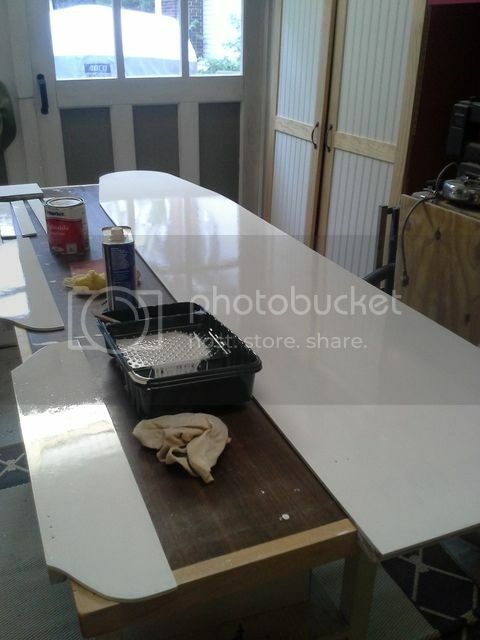 I am using Interlux Pre Coat primer and Brightsides paint. Everything will be white to begin with but I eventually will add some color stripes or sections. It hasn't occurred to me yet what the design will be. Thanks to all who have commented so far. This build is taking twice as long as I thought it would and the encouragement helps. 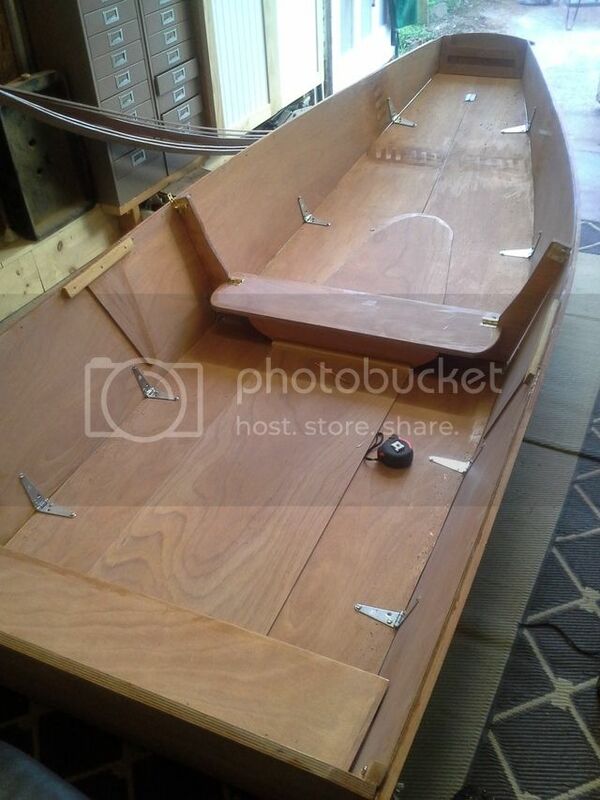 I think your build will inspire others to do this boat. Well done. On to the next step, primer and paint! I have 2 coats of the Interlux Pre-Kote primer on several small pieces and the larger floor piece. I followed the directions on the can, sanding with 120 grit after the first coat and 220 after the 2nd. The result was a very smooth feeling surface. Today I tried my hand at "rolling and tipping" with the finish coat and it went on pretty good. Last weekend I ordered the seam material and adhesive. After the paint is done, that is the next step. Then, hopefully only minor details will be left. It's good to finally be at this stage. 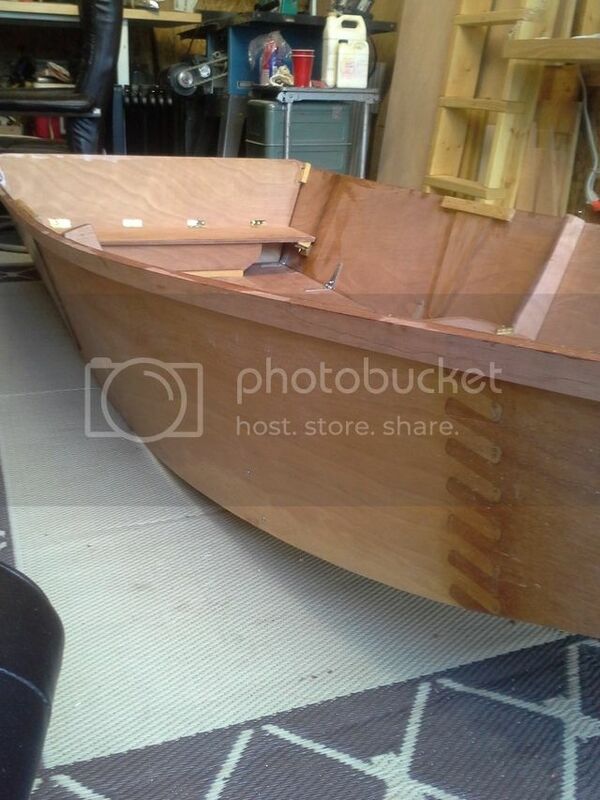 The wife is getting tired with me spending all my evenings and weekends on the boat project. We are going on a camping trip over the 4th so that should give both of us a break. Any further updates on your fold-up? Was reading the thread with anticipation of finally seeing how the heck this this thing works.